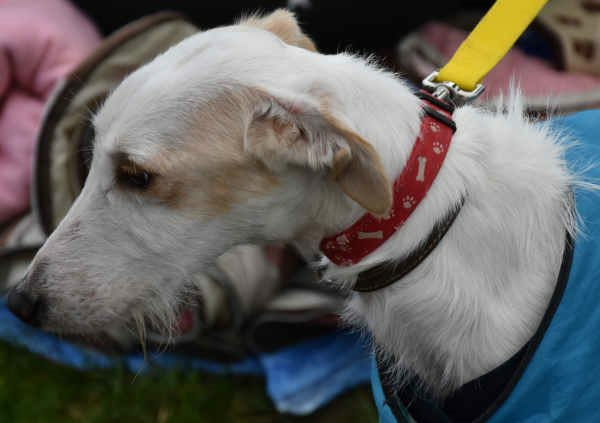 Moon is a young Rough Coated Lurcher who gets on with dogs, children, horses and cats. Unfortunately, Moon is not good with the free roaming cattle in the New Forest home that we placed him in last year. Even though he was very much loved and very reluctantly returned to us it was the sensible decision to take. Moon needs a home with another dog as he is used to the company of his own kind.